April 6th JDRF Run! Meet at Sloan Park in Mesa at 6:00pm. 5K starts at 7:00pm! 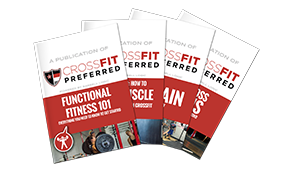 It is for a great cause and our friend and member of CrossFit Preferred is in charge and has helped us with a discount code! It benefits the Juvenile Diabetes Research Foundation! This is a great race even for people that do not consider themselves runners! Get out of your comfort zone and go for it! Can’t wait! 6x100m shuttle sprints, 50m out/50m back. New sprint every :90. *Score is the average between your FASTEST and your SLOWEST sprint (Time1 + Time2) / 2. 800 meters at race effort!